It goes without saying that Cosford, on paper, had exceeded all expectations this year. 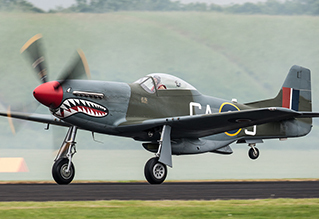 The small RAF airshow in the Midlands, in one fell swoop, has catapulted itself from one of the umpteen and broadly defined “family airshows”, into a true must-attend aviation event. Having had the opportunity to discuss things with the team, and attend the press-launch earlier in the year, we had been looking forward to seeing the results. Tom Jones reports from the RAF Cosford Air Show, photography from the UKAR Staff Team. It’s so refreshing to see boundaries pushed. To see shows shun the de rigueur position of being broadly the same airshow as the previous one, and instead assess their strengths and weaknesses, and put together a sound plan for the next event must surely be commended in anyone’s books. I’ve said it before, but as the last-remaining (for the moment, at least) RAF airshow, the team at Cosford had not only big boots to fill, but also a mandate to prove to the bean-counters, politicians and pen-pushers, that there is a reason to keep RAF airshows. But what is it that makes Cosford’s push towards bettering itself so special? In truth, it’s because they didn’t need to do it. In recent years, the show has sold-out, or come close to sell-out more often than not, even without the sun shining. In those circumstances, it would be very easy to rest on the same comfortable tried and tested laurels of years pervious. To see a show make a huge effort to better itself in the way Cosford has done this year of its own volition, and not as a result of desperation or the need to redefine itself, should not be understated. This year, it is clear that there were three core principles that the team had worked hard in implementing this year. The first was advanced tickets only, the second was traffic improvement, and the third was “spicing up” the attendance of aircraft. Rightly or wrongly, it seems to be that advanced tickets only are the way forward for airshows these days. The reasoning dove-tailed with more of an effort made to control traffic, and it seems that the organisers had a greater understanding in advance of the show, how many people were planning to attend. Every effort appears to have been made to make the public aware of advanced tickets, but nonetheless there were still a few ruffled feathers on social media come the inevitable sell-out announcement, and tales of tickets on sale on Ebay for prices into the hundreds of pounds. It’s sad to see such exploitation, and the Cosford organisers would do well to look at how (or if) they can combat this in the future. On the wider issue of advanced tickets only, it’s difficult to assess how well they worked this year. By all accounts it seems to have been as trouble-free as could be hoped, but whilst it’s nothing to do with the organisers, I can’t help but wonder what the difference would have been had the show still accepted payment on the gate given the weather forecast and unlucky spate of star item cancellations in the days leading up to the show. As I mentioned above, dove-tailing into the decision to adopt the advanced tickets only policy, was improved traffic management. For as long as I can remember, traffic has always been a sore-point for the organising team at RAF Cosford, and a range of different measures were implemented this year to try and combat this. Indeed, as I turned up in the morning and was directed into the nearby sports field as a holding car park, I cast an eye around and saw a volume of cars well into the hundreds, all of which would have been stuck in single file on the roads in previous years. However, there were one or two criticisms of these cars in the holding car park having to re-join a (smoothly flowing) queue to get on to the airfield. An area to be improved, for sure, but the principle of the holding car park, in my mind, got the early-bird cars off the road, and therefore worked well. There were also a few criticisms of members of the public being parked in the farmer’s field off-base. I didn't experience that, so this is second-hand information, however the off-base parking was unveiled at the press-launch, as another method of easing the congestion. It’s not ideal, but at other shows, there is off-base (or certainly outside of the showground) parking, without much criticism. The issue appears to be one of fairness, given that there are some, who allegedly arrived later, who could park on-base and watch from their cars. This is something that the organisers would do well to note, perhaps with on-base parking being on a first come, first served basis, and the farmer’s field being used once the base is full. Perhaps that was the desire in the first place, but either way the issue is one to be looked at. Despite this, I'm of the opinion that, as frustrating to some as it may be to be parked off-base and having the longer walk to get to the crowd line, it’s not nearly as frustrating as having to watch the flying display from inside their cars whilst stuck in traffic. On the issue of watching a display from cars, the RAF Cosford Air Show feedback threads seen on UKAR in previous years have been littered with horror stories of families, some with advanced tickets, watching a lot of the show from the M54. This was an issue that Clive Elliott, the new Air Show Director was keenly aware of. I'm not aware of any such horror stories this year, and by that measure, the traffic management can be seen as a success on years previous, and the guarantee that having an advanced ticket will mean that you get into the base for the show, appears to have been made good. Of course, the main thing that drew eyes to RAF Cosford this year was the nothing short of bountiful line-up of interesting and exotic aircraft, both flying and static. We seem to be in an age where vague “themes” for shows sometimes feel little more than faint backdrops to an event, instead of being the focus of the show itself. 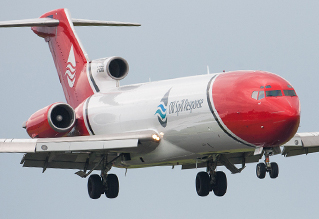 With greatest respect to those organising RIAT, their theme this year of “securing the skies – past, present and future” is so vague that it could be seen to apply to almost any modern or historic military aircraft. It’s not necessarily a criticism and these days airshows can really only take what they can get whether it fits in with a theme or not, so it’s not a fault, per se, but instead it is a point of praise for the team at RAF Cosford to secure a line-up that is commensurate with the event's key themes. Celebrating the 70th anniversary of Victory in Europe, Cosford’s well-thought Victory Village featured some truly classic aircraft of that era, and some that might be a little more underestimated. The Dragon Rapide, the beautifully restored Percival Proctor, and Morane-Saulnier M.S.315 are all aircraft relevant to the theme, yet are rarely given the credence they deserve, and it was great to see some out of the box thinking from the organisers to differentiate themselves from all of the other shows celebrating VE70 in 2015. On the point of static, if there was a criticism, it would be that the cones/ropes were placed too close to the aircraft, especially the resident Jaguars and Harrier GR3. Photography of these airframes was nigh-on impossible. Whilst it’s understood that a balance must be struck between the public and enthusiasts, it is hoped that this can be looked at for next year’s show. Luckily, this wasn’t the case with the RAF Museum’s TSR2, which was towed out of its dusty hangar and given a good airing. It was parked in a photogenic spot, for the morning at least, and looked magnificent in the early sunshine. A curious theme it was to celebrate the anniversary of the cancellation of an aircraft, but a unique and well-received one nonetheless. 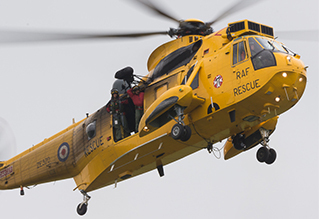 As another example of success on aircraft themes, when Cosford announced its Search and Rescue theme, people, rightly or wrongly, might have felt a bit lukewarm about it, perhaps expecting an RAF Sea King, and maybe an air ambulance, at best the restored Westland Whirlwind which is new to the scene. 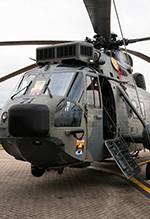 How lovely it was, then, to amble into the static park on Sunday morning, and find such gems as a German Navy Sea King, the Westland Whirlwind, the first UK appearance by an active-squadron Italian HH-139A, a Dutch Navy NH90, and the aforementioned RAF Sea King HAR3 from 22 Squadron, which was sadly making its final appearance at an RAF air show. It was an emotional final display of sorts from a type so familiar to many, and it was great to see the "big yellow budgie" strut her stuff in front of the public, one last time. All the aforementioned rotary assets plus the Midlands Air Ambulance EC135 and RAF Griffin were all set up together demonstrating past, present and future Search and Rescue aircraft, alongside interactive SAR displays from the RAF Mountain Rescue Service and West Midlands Fire Service. If nothing else, the organisers should be praised for attracting such rarely-seen international participation, but more than that, international participation that is truly relevant to one of the themes of the show. Such a shame it was that the Polish Sokol had to pull the plug at the last minute. Speaking of pulling the plug, RAF Cosford, in a run of terrible luck, was bludgeoned by cancellations in the days leading up to the show. RAMEX Delta, the German Navy P-3C Orion, and the Polish Air Force MiG-29 all withdrew for one reason or another within days of the show. Indeed, even the specially-painted Belgian F-16 and RAF camouflaged Typhoon broke on show day, to say nothing of the RAF Puma HC2 due for static participation, and the RAF Hercules that had to cancel its flypast. It goes without saying that it’s a shame to lose aircraft for any show, but one really has to feel for the organisers of this one. However, from what did fly, it was an inspired show in rather uninspiring conditions. Whilst it was not Saturday’s consistent rain, Sunday was plagued by dark clouds for the whole day. Luckily, the conditions over RAF Cosford did not preclude as many items as would have been thought, and despite the cancellations, it was one of the best flying programmes witnessed at the event for years. There was some great flying involved, including the Boeing 727 in formation with The Blades, a decent Vulcan display, excellent flying from both classic and modern items, and the tremendous Apache duo, complete with pyrotechnics for the first time, bringing back memories of the equally hard-hitting and much-missed RAF Tornado role demo. For my money, though, the stars of the flying display were the Swiss Hornet and Rich Goodwin in his finely-tuned “muscle biplane” Pitts Special, complete with some very dry-wit commentary from Peter Dickson. On the point of commentary, the normally excellent Sean Maffett/Jonathan Ruffle duo that form Airsound had a rather sub-par day in the office. Sean’s commentary was fraught with mistakes, and not the usual nit-picky mistakes that only enthusiasts would know, but outright glaring errors. Announcing that the synchro duo as a Spitfire and Tornado, using clearly out-dated pace notes on Peter Teichman’s P-40 being in its Red Tails scheme (removed at the beginning of 2013), and various others led to an awkward day of commentary. To many an enthusiast, Sean’s voice is commensurate with fond airshow memories over the years, but if he is to continue commentating at shows, he really needs to sit down and have a look at what went wrong on Sunday and almost certainly update his pace-notes. One thing Airsound did get right, though, was the commentary/music on the VE70 finale set-piece, which featured the Classic Air Force’s Avro Anson, ARCo’s Hispano Buchon, the Norwegian Spitfire Trust’s “Sharkmouth” P-51 Mustang, and Peter Vacher’s impeccable Hurricane I. The set-piece, which involved the Anson being “bounced” by the one-faux-nine (aka the Buchon), before itself being seen off by the Hurricane/Mustang duo was magnificently paced and well-thought, rivalling Duxford shows for truly memorable segments. However, one thing that is distinguishable from Duxford shows that I immensely enjoyed was the fact that each aircraft, in amongst the set-piece, were given their own time to perform a solo display. The "Sharkmouth" P-51D, resplendent it its new 112 Squadron markings, is the Mustang that everyone wants to see at the moment, and Cosford stole the IWM’s thunder by not only featuring the aircraft in the set-piece, but also in a solo display, something that was sadly lacking from the otherwise wonderful tribute at Duxford last month. The VE70 tribute, again, keeping close to the themes of the airshow, was a great way to end an excellent RAF Cosford Air Show in 2015. As I said at the beginning, Cosford had some big boots to fill, and a mandate to show those in Whitehall that there is a reason RAF airshows have existed for such a long time, and there is a reason that they are worth keeping. 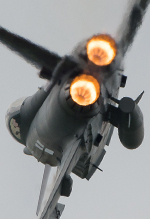 In terms of this “RAF Review on Airshows” rumoured to be taking place, with yet another self-funded sell-out event, the team at RAF Cosford have done a fine job in their effort to demonstrate the continued relevance and importance of RAF airshows. 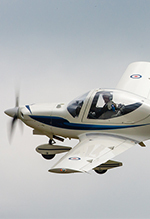 "Overall the RAF Cosford Air Show 2015 was a great success. 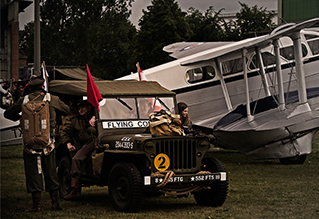 We had bigger and better flying and static displays, a vastly improved STEM hangar, hugely popular Victory Village, and more traders and exhibitors than ever before. 55,000 people enjoyed a great day out and, most importantly of all, got the chance to see behind the scenes at RAF Cosford and to engage with the Royal Air Force, cadets, reserves and recruiters. Nothing is perfect and we have some feedback that we are looking at and we are always open to ideas on how we make things better for next year. All in all, a massive success for the 1500 RAF Cosford personnel who make it happen. Oh, and the air show office as well..!" "Despite a number of key profile cancellations in the weeks leading up to the show, we still delivered a full and varied six hour flying programme which, judging by initial feedback, was received favorable by all our visitors. The weather on the Friday & Saturday posed an extra challenge to all involved and sadly resulted in a number of aircraft cancellations, with the 'UAS90' static display most servery affected. This year's show had a level of international presence not seen for a number of years at RAF Cosford and we will aim to build on relationships to ensure continued international participation at the RAF Cosford for many years to come." It’s oft said that a balance needs to be struck between the gems that enthusiasts want, and the aircraft that the public want. 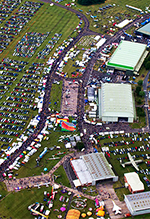 The sell-out RAF Cosford Air Show in 2015 proved that to be a tremendously subjective viewpoint, and an occasion where the aircraft attending ticked boxes with both the public and enthusiasts alike. Here’s hoping for a two-day show in the future, there’s clearly a market for it.